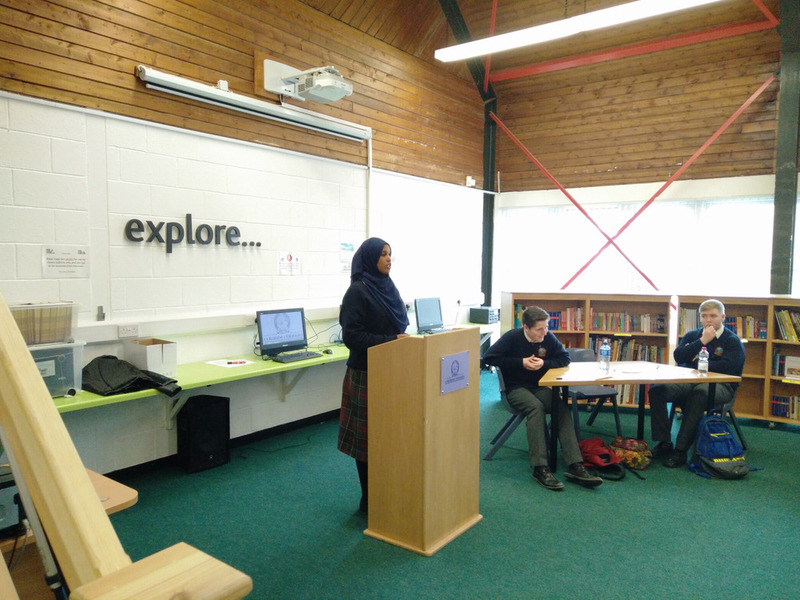 The school library was a hotbed of political debate and discussion this afternoon as three 5th Year students (Owen Hoezle, Mulky Sharif, Jack O'Donoghue) and their audience tackled the fraught and complex topic of whether violence is ever justified to achieve one’s political goals. The debaters took different angles on the motion which ensured a lively and thought-provoking atmosphere. Afterwards, the audience were invited to ask questions which the trio fielded with a level wisdom, maturity and eloquence far behind their years. This marks the opening ‘shot’ in Coláiste Chiaráin’s not inconsiderable calendar of events to mark this significant milestone commemorating The 1916 Rising.